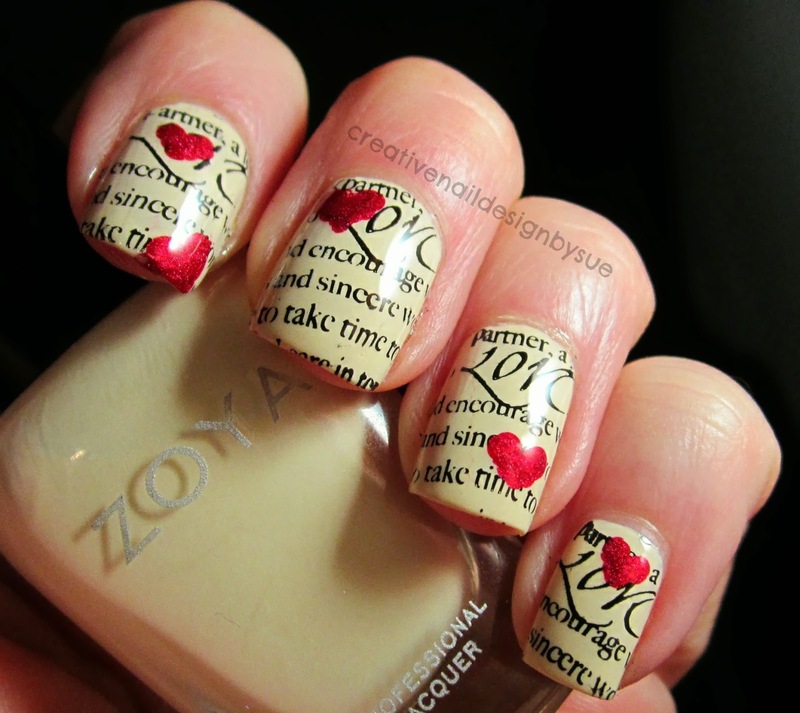 This is the third post of the month for The Nail Challenge Collaborative. This month was technique month. I set out to watermarble over stamping but it was a fail so I resorted to using a dotting tool to make some hearts. 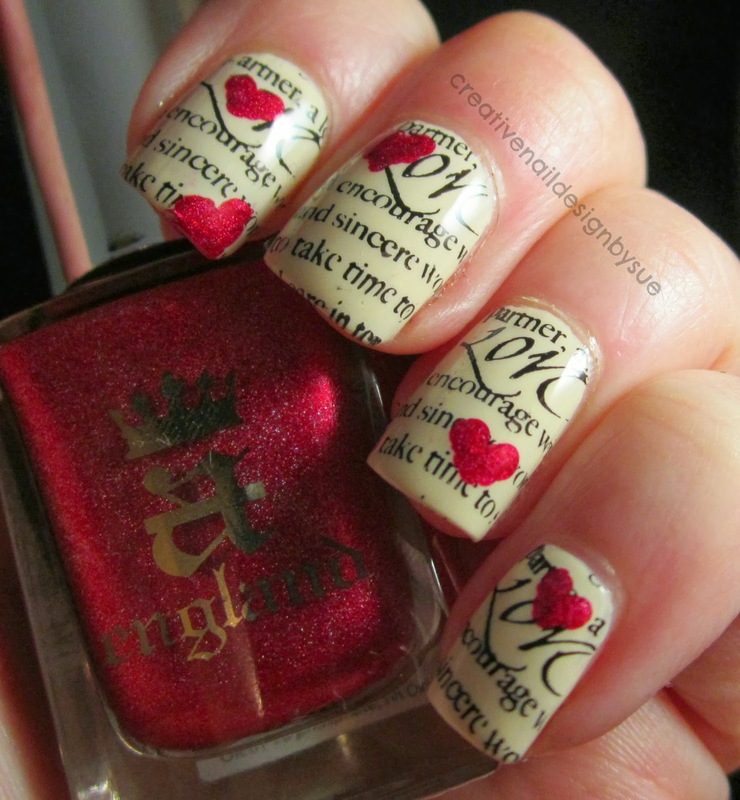 This is Zoya Jaqueline with Black stamping polish and Hearts in A England Rose Bower. very nice and breathtaking manicure! Love this! What plate is it?